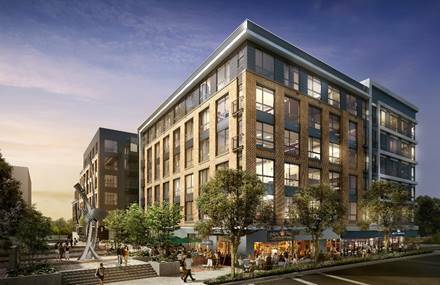 Ditto Residential has taken their first step on their planned (2 - Unit) condo at 925 M Street NW, by meeting with local Blagden Alley/Shaw residents. The Ditto Residential Architect's from DEP came prepared with much detail to answer questions of their initial plan, and as with any 'first look' there were many inquiries about the aesthetic of the structure and building material. Martin Ditto, President of Ditto Residential challenged the Blagden residents to view his other developments, which he is obvious proud of, entered into some passionate discussion, but stood firm on his company's record, which includes nationally renowned designer Darryl Carter (who's showroom is on 9th Street NW) where they redeveloped his historic Capitol Hill home into one of the finest homes on Capitol Hill.